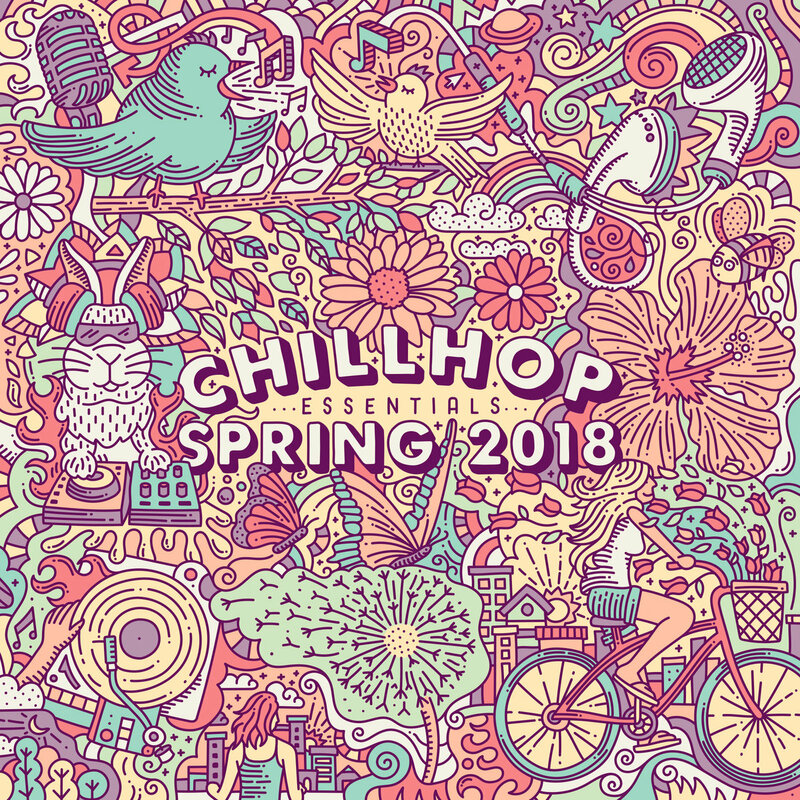 For the third year running, Amsterdam label Chillhop Records drop their delightful Essentials mix for spring, capturing the seasonal atmosphere to perfection while highlighting some of the most noteworthy names in the genre. Looking at the fantastic artwork crafted by Brazilian artist Mauro Martins provides a great representation of what the release has to offer. This is a colorful, vibrant collection of hip-hop oriented tracks, mirroring the feeling of winter’s end and the luxurious vistas of the spring season in smooth fashion. It’s a deeply melodic and atmospheric journey to sit back and contemplate. The vibe from most of the 22 cuts is soothingly subdued, constantly providing moments of magic through the inspired instrumentation. Aso & Middle School’s Tomorrow Never Knows is an emotional ride of smooth keyboards and guitar intersections. Kensington by Stan Forebee & Kyle McEvoy drifts slightly away from the hip-hop beat in lieu of a tropical-sounding landscape, taken to another level by a masterful bass line. Ruck P’s Spring in La Coruña nails the more classic flow of Chillhop amongst a myriad of lovely arrangements. deeB delivers a suiting closure with the white noise and muddled beat of Morningview. If you’re craving THE vibes of spring brought about by smooth instrumental hip-hop beats, the newest edition of Chillhop Essentials has you covered. Be aware, as you may see yourself returning for more, regardless of the season. Chillhop Records have been kind enough to include SoundCloud links to all artists, so be sure to follow those you enjoyed the most. Favorite tracks: Kensington, Tomorrow Never Knows, Spring in La Coruña, Morningview, Blue Orchard, Swix.